Last year, I took a moment to appreciate the shocking abundance of Outer Banks’s annual events. I’d never realized just how many there were! The amount is overwhelming. Of course I have my favorite events — the ones I’ve done since I was little and look forward to every year — and the others I have yet to try. Annual events are spread throughout the year, with some months offering more than others, and August is one of those months. In fact, this week’s a bit of a jackpot ... with four annual events happening between Wednesday and Sunday! Events here typically occur annually, monthly or weekly with new ones making regular appearances each week. 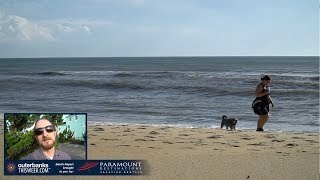 This week combines the old with the new, so you can expect activities that have pleased people for years as well as others that are making their first debut in Outer Banks. 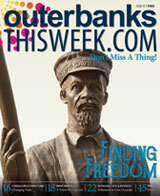 Artists and craftspeople thrive on the Outer Banks. Maybe it’s the diverse environment. Maybe it’s the kind of people who live and visit here. Maybe it’s something in – or just – the water. Whatever acts as these artists’ muse, it’s always a treat to see the products of their creativity. 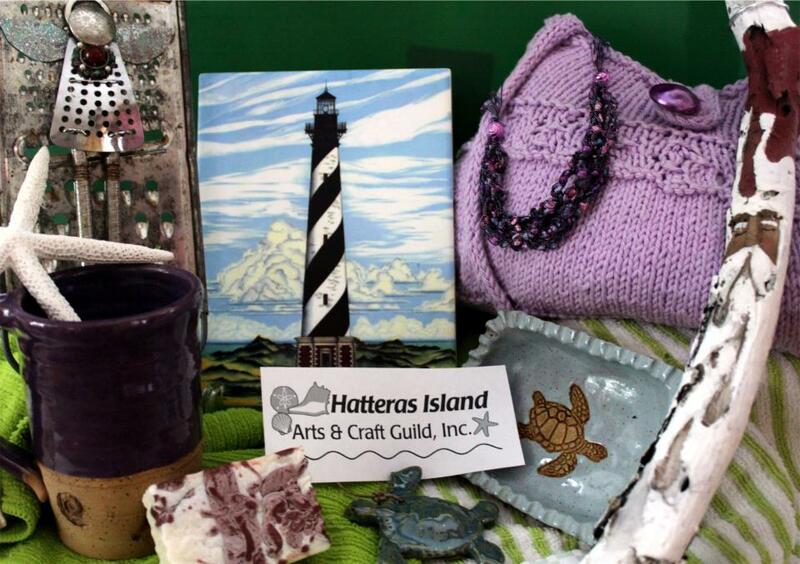 The Hatteras Island Arts and Craft Guild holds annual exhibits – one in August and one around Thanksgiving – to display the works of artists and crafters on Hatteras Island and in the surrounding area. This Wednesday and Thursday you can see the arts and crafts of these talented individuals at Cape Hatteras Secondary School. The show goes from 10 a.m. to 4 p.m. both days and is free to the public. Aesthetic beauty continues in Kill Devil Hills at the 43rd Annual Senior Citizen Arts and Crafts Fair. This event presents the works of artists who experiment with a variety of mediums. Feast your eyes on colorful oil paintings, sketches, woodcarvings, textile creations, pottery and more, and meet the artists responsible for all of it. You can even take your favorite products home with you. Some of the fair’s artists have participated for years and others are new faces. The Outer Banks Woman’s Club sponsors the Senior Citizen Arts and Crafts Fair, and all proceeds from the event go toward scholarships and community projects. This event is held at the Thomas A. Baum Center from 9 a.m. to 4 p.m. Admission only costs $1, and children ages 12 and younger get in for free. Mmmmm. Watermelon, the delicacy that looks, smells and tastes of summertime. I don’t know about you, but I can’t get enough of it. 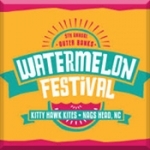 Fortunately I’m in good company with the countless other watermelon enthusiasts who look forward to August’s annual Outer Banks Watermelon Festival, happening this Thursday. This festival takes watermelon and shows you all the awesome things you can do with it. Watermelon-themed games like seed-spitting contests, relays, watermelon bowling and more entertain both old and young attendees, and every melon-lover can get their fill of the fruit with the watermelon eating contest. The festival lasts from 10 a.m. to 4 p.m. and is free to attend, but ticket purchase is required to play the games. All proceeds go toward the Outer Banks Bicycle and Pedestrian Safety Coalition, so you’ll be celebrating watermelon while benefiting this great cause. Lace up your running shoes and join the other runners prepared to take to the sand at this annual 5K event. You and the other participants will take your mark and go! at the Milepost 4.5 lifeguard tower. You’ll run north and then return south to the Start/Finish Line. All runners receive some Sandbar swag including a tech shirt, sea glass medal and iced towel along with refreshments at the end of the race. The top three male and female finishers will be awarded gift cards to local restaurants and hotels. This event begins at 7:30 a.m. and is an excellent way to start off your Sunday morning. The annual Sandbar 5K is a charity run that benefits the Outer Banks Relief Foundation, which helps local individuals and families with debilitating illnesses or in times of crisis. Registration is $35 unless you registered before July 1st, when it cost $30. A 5K isn’t the only way to get moving this week. 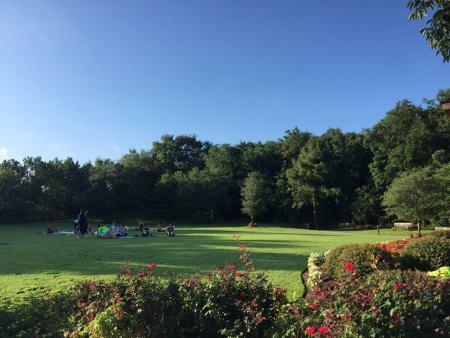 Check out the Town of Duck’s weekly Fitness On The Green class. Every Wednesday morning this summer, trainer D.L. Althoff leads a free workout on the green in Duck Town Park. The workout, called Dynamic Flow, incorporates elements of capoeira, yoga and bodyweight conditioning to build flexibility, endurance and strength. Dynamic Flow is great for both training athletes and amateurs, giving everyone a fun and playful way to exercise before hitting the beach. This workout goes from 7:30 to 8:15 a.m. and is open to the public. All you need to bring is water and an enthusiastic attitude. Ocracoke Island is the kind of place where art, especially performance art, comes alive. It permeates through the island and plays a principle role in the culture. The best place to get a taste of it is at the Ocrafolk Opry. Music, stories and theatrics never cease to entertain people of all ages. Every act features local and regional performers, each one of whom leaves their individual mark on the show. These artists are loved beyond Ocracoke Island; they’ve been featured on radio shows, movie soundtracks, in National Geographic and more. If you want to check out this talented bunch, head to Molasses Creek’s Deepwater Theater at 8 p.m. this Wednesday (or any Wednesday this summer). Tickets cost $15 for adults and $7 for children. Michael Jackson fans, rejoice! This Sunday evening you have the opportunity to experience the King of Pop’s music with Who’s Bad – The Ultimate Michael Jackson Tribute Band. Watch as nine skilled performers resurrect Jackson’s classic hits. The show goes beyond just the songs – these professional artists study every aspect of Jackson’s style to recreate his performances as closely as possible, from his dance moves to his costumes. This concert is the final show of the Lost Colony’s PNC LIVE at the Waterside Series. If you’re on the hunt for a thriller of a night, come out to the Lost Colony’s Waterside Theatre. Tickets are $20 in advance and $25 the day of the show, and you can purchase them online or by phone at (252) 473-6000. The events listed above highlight a few of many happening this week. You can learn more about popular weekly activities and events on our Daytime Events listing. And if any of this week’s annual events intrigue you about the others, discover all of them here. Like every week, bands and solo musicians take the stage at restaurants and bars throughout the Outer Banks. You can learn more about who will be where on our Nightlife listing. Save $3 on your Crystal Dawn cruise with a National Park Service Pass!